A few years ago, I went backpacking through Europe. I wanted to run myself off my feet (I did have the blisters to prove it) experiencing the sights, sounds and tastes, but being on a tight budget, I had to be inventive. There are tons of companies that offer free tours; Sandeman, Paris Walks and New Rome Free Tour are some examples. While the tours are free, there’s an unwritten rule—tip your guide if you can afford to. These guides are there to share what makes the city remarkable and make your experience valuable enough that you send some cash their way. Google “Free Walking Tours” and the city you’re planning to visit and voila! Find one that suits you by reading testimonials or checking out Trip Advisor. On the Berlin walking tour, we light-heartedly obeyed the East German Ampelmannchen, AKA “the little traffic light man”, as our guide, Brody (yes, I remember his name—that’s how memorable the experience was!) told us the story behind the little green man and his significance to this wonderful, often underrated city! 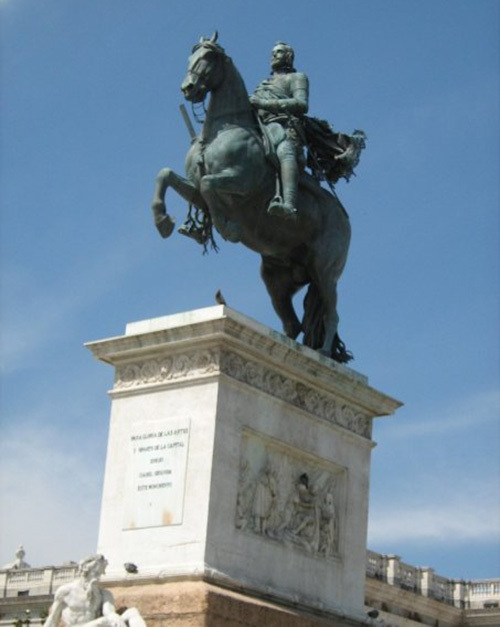 In Madrid, early into the tour, our guide pointed out a statue of a solider on a horse. I didn’t think much about this particular statue until she told us that these statues have military significance. (In Europe there is an endless supply of statues everywhere, so it’s easy to stop paying attention to them.) Who knew? The number of legs the horse stood on revealed the soldier’s war experience—one leg up meant the soldier was injured but survived the war, and two forelegs up meant the soldier died in battle. 2) Free entry to paid attractions. While you generally pay for entrance to popular tourist attractions, a lot of these places have special days or hours when entrance is free. For example, you can visit the Louvre in Paris for free if you’re under 26 years old, a teacher, or visit on the first Sunday of the month. Similarly, a trip to Westminster Abbey in London saves you 16 pounds if you visit for Evensong (Evening Prayer) at 5:30. If you’re not bold enough to mingle with the locals, head over to the Tourist Information Centre.Take some time to speak to a real person (don’t just grab some brochures and run!) about what’s going on during your stay. One experience that again, was completely free, came from the tourist office in Strasbourg, France. 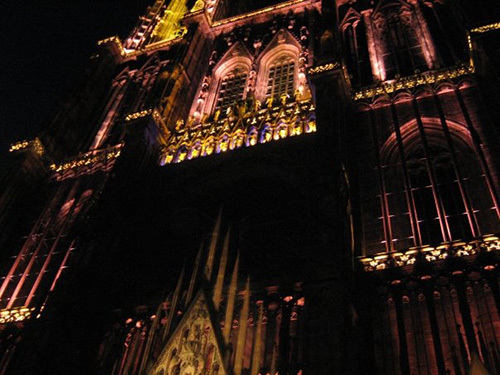 I was told that the beautiful Strasbourg Cathedral sound and light show was not to be missed! So a few of us from the hostel went to check it out and it was fantastic… the clash between old and modern day Strasbourg was definitely a sight to see! And if you do get a chance to hang out with the locals, they’ll prove to be a fantastic source of information. Ask if there are any concerts in the park, markets near your accommodations, authentic restaurants that are off the tourist path, or discos the locals party in. Brochures can be a good start, but trust me – it’s the people that make the city!